EUGENE, Oregon — In recent weeks, it has been hard to miss the headlines about a 26-foot pyrosome, or “sea pickle,” divers encountered off the coast of New Zealand. The sea-serpent-like worm is actually a colony of tiny organisms called zooids that embed themselves in a jelly-like substance. Though the 26-foot pyrosome has drawn attention for its extraordinary size, sea pickles have actually been plaguing the West Coast for years and have become problematic for fishermen. University of Oregon has studied the arrival of the sea pickles to the Pacific Northwest and how they have been adapting to cooler waters. In a paper published on July 19 this year by University of Oregon, the authors theorize about how the pyrosomes arrived to the Pacific Northwest and how they might become permanent residents. Scientists, around 2014, noticed the sea pickles were creeping their way into northern waters, a shift from where they were previously found – south of California’s Cape Mendocino and usually in tropical waters. The past few years, however, have experienced warmer temperatures. The warmer climate of the last few years and a strong El Niño effect in 2016 may have swept the sea pickles into new territory, according to research. Fishermen, in 2017, observed some of the less ideal results of the sea pickle invasion. A large number of live and dying sea pickles were captured in trawling nets, interfering with commercial fishing operations. Fishermen may be forced to relocate if the sea pickles continue to reproduce in rapid numbers. Another hazard is that sea pickles do feed off of photosynthetic plankton in high levels. If this is to continue, there is a possibility the pyrosomes could change the region’s ecosystem. However, many predators of sea pickles exist. 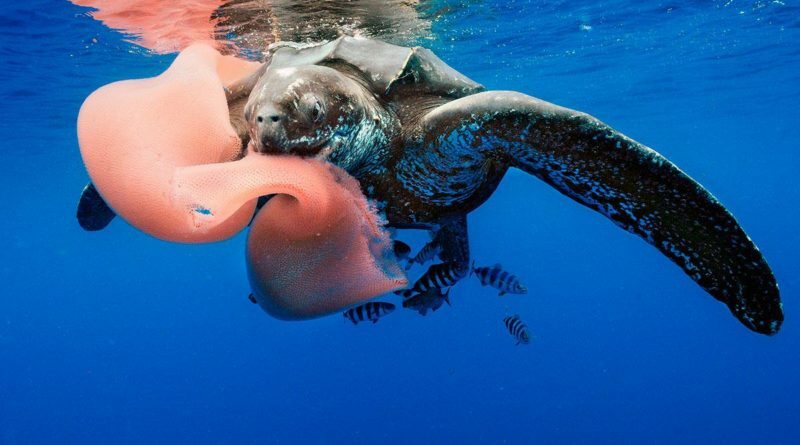 Fish, sea turtles, sea birds, anemones, sea urchins and crabs have all been observed feeding on pyrosomes. The paper also noted sea pickles are “one of the least-studied planktonic grazers in spite of their widespread distribution and ecological significance.” More may be learned about them as the creatures continue to invade the California Current.